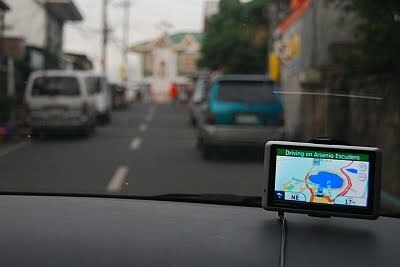 For years, Tutubi lurked at waypointsdotph group talking about travel, mapping and GPS, to get tips on travel to places even if he has no GPS. Two years ago, everything changed when he got his own Garmin nuvi 1300, bought and hand-carried for him by an online friend. His "career" as a crowdsourcing mapper began with OpenStreetMap. what has he done in 2 years? Foremost is the updated map of Paete, Laguna (his hometown), nearby Pagsanjan, other towns of Laguna, Rizal and everywhere he went to. He also updated the map of Vigan, Ilocos Sur, Surigao del Sur, Metro Manila cities of Manila, Quezon City, San Juan, Pasig and Makati where he focused on fixing routing issues to correct routing errors as well as optimized routing for OSM to give the normal routing suggestions. If you noticed Tutubi puts GPS coordinates of places he visited on his blog posts, it makes tourists with GPS devices get to places without even asking for directions and guess works. If you're a traveler, Tutubi suggests at least updating your hometown, to place it on the map. Log on and register at OpenStreetMap and edit your hometown map. Even without a GPS, you can at least put POIs (points of interests), street names and even tag one-way streets. Doing so also promotes your hometown for travel and tourism. Great to hear :) Hope you will enjoy mapping for OSM for a quiet long time! Thanks for the information you've share to us.